Linden Waldorf School’s Buttercup Parent/Child Playgroup is a treasured experience for families where young children — accompanied by a caregiver and guided by a Waldorf teacher — enjoy a rhythmic morning of song, movement, organic snacks, storytelling, puppetry, nature walks, and free play. The unhurried pace of the Buttercup experience provides an opportunity to slow down, enjoy our children and each other, and bring a precious moment of peace into our lives.  As a condensed model of our early childhood classrooms, this weekly class serves to familiarize interested families with Waldorf education. Approximately seven families participate in each class. Children will benefit most from this program if they are 1½ to 3 years old. Classes for 2018-19 are currently offered on Wednesday, Thursday, or Friday. Program fees for 2018-19 are $850/full year and $450/semester session. There is no application fee. Contact us for more information about the upcoming school year. All classes 8:45 am to 10:45 am.